That introduction probably doesn’t make much sense, so let me explain that Calligra is a fork of KOffice, the KDE-based suite that began development in 1997. 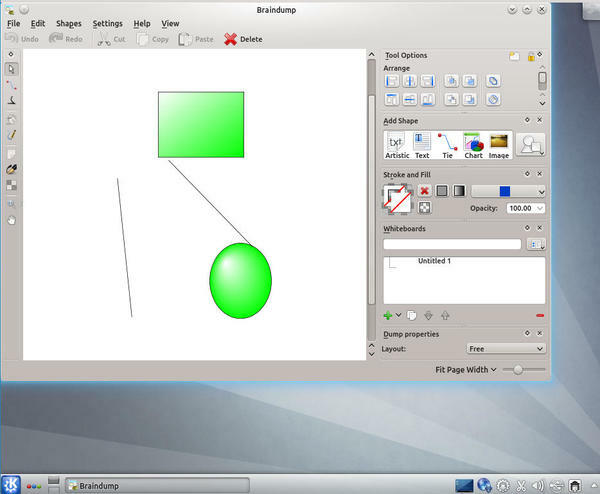 Specifically, Calligra is the version that includes the raster graphics editor, database manager, and mobile platform. Both KOffice and Calligra have renamed many of their applications to prevent confusion, and Calligra, at least, is continuing the version numbering. Version 2.4 is the first release developed completely by Calligra, and new releases are promised every four months from now on. Those interested in trying Calligra can download the source code. Alternatively, you can download packages for Arch Linux, Fedora, FreeBSD, Gentoo, openSUSE, Ubuntu, or Windows. In most of these distributions, the packages will either be in a development repository or require adding an additional package source. Nightly builds for Ubuntu are available from Project Neon. Once Calligra is installed, be ready for some adjustments. 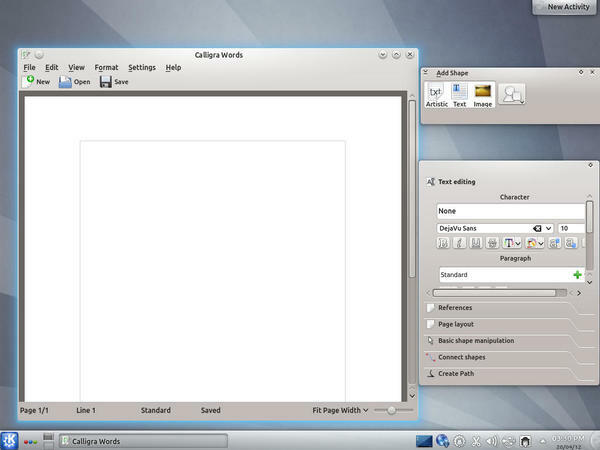 Calligra uses an interface closer to that of the de-centralized GIMP than the average office suite, and its tools have varying degrees of completeness, depending on whether you are talking about the main productivity apps (the word processor, spreadsheet, and slide show programs), the office apps, or the graphics apps. Over the last couple of releases, KOffice/Calligra has changed its organization considerably. To start, as part of the fork, most of the old names starting with K have been thrown out. KWord, for example, is now simply Words, whereas KSpread is Sheets and KPresenter Stage. The 2.4 release continues this straightforward naming, with Braindump for whiteboards and Flow for flow charts. Only Karbon and Krita, the graphics editors, and Kexi, the database manager, retain their original names, presumably because they are well-known as standalone applications. Additionally, Calligra has been moving toward a common interface. Of its nine applications, only Krita and Kexi depart from this common interface to any extent, and even they have obvious features in common. 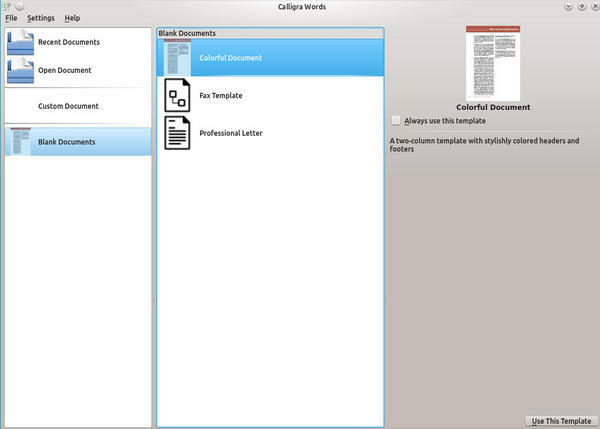 When you open a Calligra app, generally you start with a window for choosing a file or a template for a new document. Figure 1: Most Calligra apps open on a document selection screen. From there, you move to the editing window. This window has the usual menus but, so far as is possible, most tools have been moved out of the menu and into the window, where they are one mouse click closer. Figure 2: The Calligra editing window isn’t what you might expect in an office suite. Management functionality, such as Save or Copy and Paste, are in the icon bar below the menu or in the right-click menu. Functionality specific to the application is placed in a series of panes on the right side of the screen. Called dockers, these panes can be closed, detached, or re-added to any side of the editing area as you please, making for a completely customizable interface. Down the left side of the screen is usually the docker for common drawing tools. You might think of dockers as Calligra’s equivalent of MS Office’s ribbon interface, except more complex and better organized. 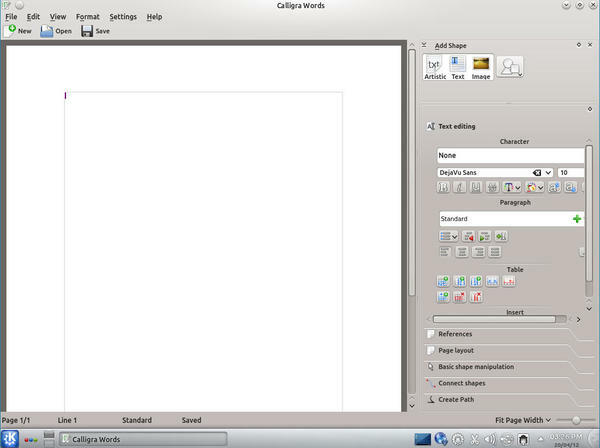 Figure 3: One advantage of the Calligra editing window is that it is almost completely customizable. Here, the dockers have been left to float loose to give more space in which to edit the document. So far as possible, tools on dockers are the same in all applications, which means that knowing one Calligra app helps you learn others. However, early in your use of Calligra, you will need to decide whether you want to maximize your current app, let the dockers float outside the editing window, or close them entirely. All these strategies give as much space as possible for the document you are working on, but you will have to decide for yourself which is most efficient. I suspect the answer varies with the app as much as the user. Words differs from most word processors in that it is frame based. That is, it is designed to allow you to build complex documents by adding frames and adjusting how other elements wrap around them and how text flows from one frame to the next. This structure is simple but surprisingly efficient, especially when you use a grid to position frames precisely, and put recurring elements – for instance, logos – on a page style. However, you can ignore frames when doing simple documents. Unlike LibreOffice’s Writer, Words is not strongly style-oriented. In fact, although, as for any word processor, Words is more powerful when you use styles, the dockers encourage manual formatting. Where Words is sometimes lacking is in fine control of such details as the spacing between headers and the main text frame and in advanced features such as mail merges and auto-text. Much the same can also be said of Stage, Calligra’s slide show app. Most of the basics are there, including a basic selection of templates and layouts, as well as a presenter view for delivering presentations. However, a choice of slide transitions and support for sound are missing. By contrast, the Sheets spreadsheet is a maturer product than either Words or Stage. Not only does it include some 420 functions – more than 75 more than LibreOffice’s Calc – but it also has a thorough set of function tools, including Consolidate, Validity, and Goal Seek. Although Sheets could use more than AutoFilter for changing the view, its greatest weakness is slugishness when complex formulas are running. Still, the foundations for Sheets are firm, and when Words or Stage equal them, Calligra will be a solid office suite, instead of the present work in progress. For some reason, a surprising number of office suite users share an irrational dislike of database managers. But, if anything can make them change their minds, it is probably something like Kexi. Although it is not organized as a wizard, the way that LibreOffice’s Base is, instructions in the editing window should allow most users to explore the mysteries of databases with as little pain as possible. 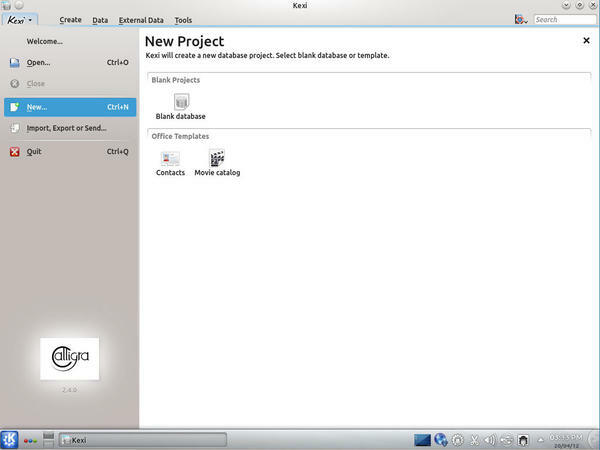 Figure 4: As database managers go, Kexis is one of the more user-friendly. The project manager Plan (formerly KPlato) is even better at bringing users unfamiliar with its concepts up to speed. Plan opens with a small welcome dialog, with links to an introduction, tips, and a tutorial that are sometimes cryptically brief, but enough to help inexperienced users explore with some confidence. Experienced users will appreciate the choice of editors and views, as well as the selection of charts and the status report – all of which are expandable if the defaults don’t meet their needs. 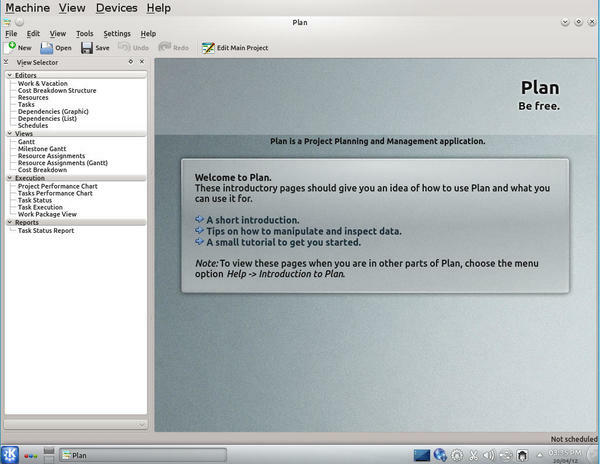 Figure 5: Plan is a full-featured project management tool. The new Braindump is another strong office productivity application. Designed as a tool for brainstorming and outlining, Braindump is a tool that is equally useful for both individuals and groups. Add the ability to print, and you could also use it for creating organizational charts and even simple diagrams and layouts, like a slightly simpler version of LibreOffice Draw. Figure 6: Braindump is an online whiteboard. Karbon and Krita are, respectively, the vector graphic and raster graphic editors. That is, they are a pair like Illustrator and Photoshop or (to put the relation in free software terms) like Inkscape and GIMP. In fact, functionally, they are close to Inkscape and GIMP, aside from GIMP’s large collection of plug-ins, having been in development longer. Krita in particular has its share of innovative features. You can set brushes for dynamic movement, meaning that lines continue in the direction the brush was last moving, or use multiple brushes at the same time. It also has a stable of eight selection tools, including tools that allow you to select by brush stroke or by contiguous areas of color or by similar colors. In keeping with its project description as a painting tool, you can also use a grid for setting perspective and record macros to automate repetitive tasks. With such features, experienced graphic designers should enjoy taking Krita for a test run and discovering some of the possibilities its feature set opens up. To Karbon and Krita, Calligra 2.4 adds Flow, which promises to be equally strong in its field. With its 40 sets of shapes, ranging from those for flow charts and electrical diagrams to those for cybernetics and landscaping, Flow deserves instant recognition as the major diagramming tool for free software, easily eclipsing Dia or LibreOffice’s basic support. 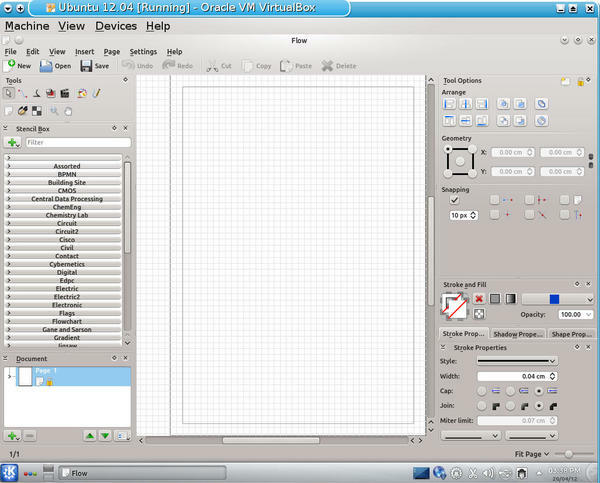 Give Flow a few more releases, and it might start to rival Visio, the premier proprietary diagramming application. Figure 7: With Flow, Calligra has given free software something it needed: an advanced diagramming tool. For years, KOffice was an also-ran. Despite the promise of some features, like KWord’s frame orientation, as a whole, it was never a match for OpenOffice.org. Even basic users were likely to find it lacking. Now, with LibreOffice succeeding OpenOffice.org as the premier office suite, the pressure for KOffice/Calligra to live up to its potential is stronger than ever. Unlike the change-resistant OpenOffice.org, LibreOffice has so far been quick to change and seems willing to reconsider everything, a situation that leaves little room for alternatives. Under these circumstances, Calligra needed an impressive first release. Perhaps surprisingly, and to the development team’s credit, it has managed one in 2.4. Words in particular is still lacking features; yet, in the 2.4 release, most of the applications are at long last starting to realize their potential. Moreover, its new graphics and office apps provide missing functionality that even LibreOffice is missing. Two years ago, the fork seemed to have exiled the KOffice code into the realm of might-have-beens. Now, with Calligra 2.4, it is back stronger than ever – not quite as complete as it needs to be, but suddenly back in the game and worth keeping an eye on.